Is A Built In Closet Right For You? At Contempo Closet, we just announced that we’re expanding our custom closet solutions, designing and building everything from small and simple reach in closets to intricate walk in closet systems. Now, while built in closets are great, we’re not going to say they are for everyone. Some people would still be better off with a freestanding wardrobe. Are you a homeowner? If so, a reach in or walk in closet, if done right, could raise the value of your home and be a potential draw to buyers whenever you decide to sell. Having a built in closet eliminates the need for freestanding storage furniture, so potential buyers might see your walk in closet as a time and money saver. And you might enjoy that closet just a bit for the remainder of your life there. If you’re just renting or planning to move out in a few years anyway, you might not want to bother with the investment since, unfortunately, you can’t bring a built in closet with you. Do you need more space in the bedroom? A cluttered bedroom can be kind of a pain (literally, do you have any idea how many times I’ve stubbed my toe trying to navigate my bedroom in the dark), but a walk in closet may eliminate the need for dressers, wardrobes and other storage items in your room if organized right. Besides, more space means “room for activities,” as Will Ferrell put it. Are you slow getting out in the morning? It’s ok if you’re not a morning person (it’s totally a myth) and not too quick to get out the door in the morning. 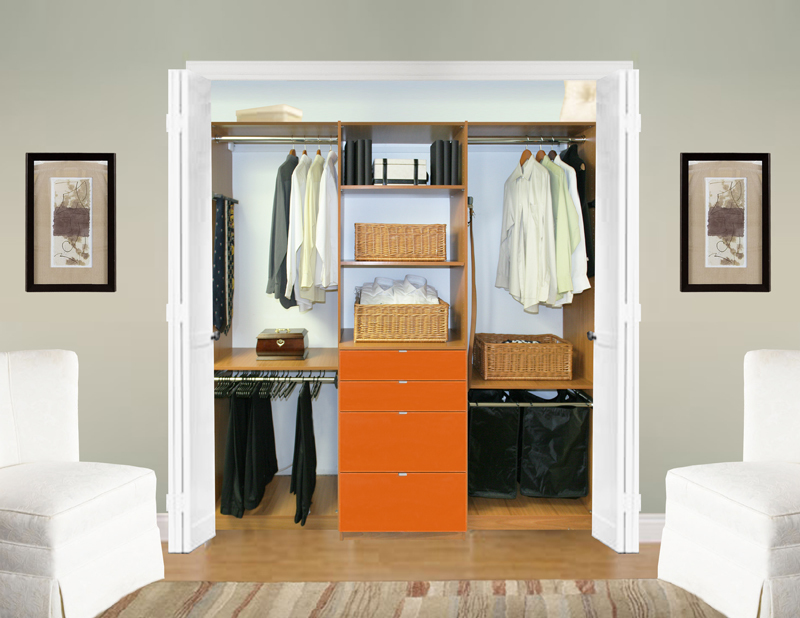 But a well-organized built in closet could shave valuable minutes off your morning routine. Plus with pants racks, pneumatic pull-down hang rods, shoe racks and more, organizing a built in closet to fit your needs couldn’t get much easier! Does this sound like you? If not, that’s cool. Freestanding wardrobes are a great idea, too. Whether it’s a wardrobe closet, a reach in closet, a walk in closet or both, they all look great, minimize clutter and make your morning routine move a bit quicker. If you’ve got the space, why not? This entry was posted in Closet, Home, Organization, Storage, Wardrobe and tagged built-in closet, freestanding wardrobe, homeowner, investment, reach in closet, will ferrell. Bookmark the permalink. One Response to Is a Built In Closet Right For You? Oh yes if it were only so easy with real wallpaper. I bhougt a fantastic new bed cover the other week and plan on decorating our bedroom around it. Like you womag I have some hideous fitted wardrobes that I want pulling out but don’t want the hassle that goes with it. Oh to be able to press a button and have it done.Sigh!Love the new colour by the way, very restful.